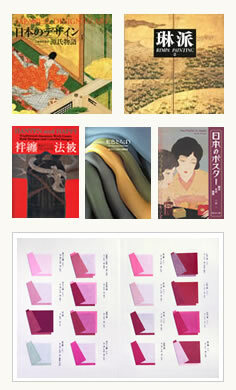 We publish books on a wide range of Japanese fine arts and crafts, retro design and Kyoto culture. Our popular publications include books on Japanese traditional colors and hand-dye techniques. Using natural dyes, Yoshioka revived a number of ancient dyeing techniques to create a spectrum of traditional courtly colors. Yoshioka’s notable work includes restoring religious ceremony costumes and textiles for historically significant temples and shrines. Yoshioka has exhibited his work throughout Japan and internationally, including solo shows in Munich and London, and has collaborated with CHANEL to produce red lipsticks. 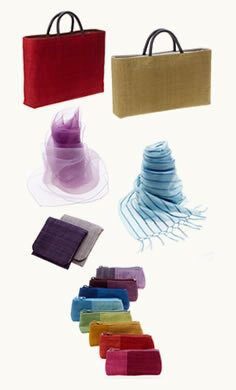 Our product line includes: silk stoles, bags, pouchs, purses and more. All materials are hand-dyed with natural dyes at Textiles Yoshioka studio.